I’m pleased to announce that we’re deploying a balance update this week! It’s our first one in quite a while, chiefly because we’ve been seeing pretty encouraging statistics for almost all of the Prismata units ever since our last round of changes. The results of our recent unit survey indicated a strong need for changes to Odin and Wild Drone, so we’re including updates to those units. We’ve also focused more on buffs this time than we usually do, mainly because we’ve been happy with the results of past buffs and want to continue the trend of trying to find the best and most interesting version of every unit in the game. Wild Drone – Now costs 2E, has a buildtime of 2 turns, has 2HP, and produces 1 gold per turn. Still Frontline. Now supply 10. Wild Drone has been a source of a large number of complaints from top players for a long time (mostly because it’s quite forcing in the opening and doesn’t leave a lot of options for players to be flexible in their builds), but we struggled to find a reasonable change to the unit that would fix its underlying problem. Instead, we’ve given up and decided to more-or-less retire the unit, deploying an alternate design for a Frontline economic unit in its place. This is really an entirely new unit with completely different synergies and opening strategy. We thoroughly enjoyed playing with it in testing and we hope you’ll have a good time exploring its possibilities! Odin – HP reduced from 4 to 3. So… this will be a bit of a long explanation. Apologies in advance for the length, but I want to explain a number of details about the different things we tried before reaching our final decision regarding this nerf. Of course, we knew from the survey that a change to Odin was warranted, but we had a huge number of internal debates and playtests as well as discussions with top players about what the change ought to be. Odin is the most player-1-favouring unit in high-level Prismata play, a combination of its overall power level and the fact that its cost favours a number of player 1 builds that are difficult for player 2 to respond to, especially in situations where Conduit is weak. The main difficulty lies in how strong Odin is when purchased as early threat but subsequently used as a defender. This tends to increase the benefit to whichever player buys Odin first (since their opponent has to deal with the 7 immediate threat, whereas the first Odin buyer can use their own Odin on defense to deal with the opponent’s 7 immediate threat) and is especially troublesome in unit sets where Wall is the largest absorber (since Odin’s immediate defensive value is particularly impactful). This left us with a clear goal: make Odin weaker in situations where it’s currently very strong to rush it out quickly. We considered simply nerfing the unit’s cost, but even with a 1-2 gold increase in price, Odin is still a pretty good buy in most sets where Wall is otherwise the largest absorber, and buying Odin early is still very important. A price increase removes Odin from the game in a few sets where it’s no longer good enough value, but doesn’t really address the underlying problem. Several players suggested changes that would disincentivize an early Odin by giving the second player a good follow-up, such as making Odin prompt, or increasing the buildtime of some/all of the Steelsplitters, or of Odin itself. We tried a number of these (while adjusting Odin’s cost to balance things out). While they had some benefits, these changes ultimately didn’t do much to address the high value of getting Odin early (or threatening to get Odin early, in the case of the prompt Odin) and resulted in the same type of early BBB builds from both players. The decision to try a version of Odin with lower HP was actually inspired by a series of experiments we did many years ago with a non-blocking Odin, where we found that the player who got Odin 2nd often had an advantage if the other player rushed it too early (the blocking ability adds more value to the player who buys Odin sooner, since they get to block first, so removing blocking helps the player who buys Odin second). Accordingly, we felt that we could ameliorate the Odin problem by adjusting Odin’s balance so that blocking is less favourable and attacking is more favourable. We tried a number of ways of doing this, including increase the click damage on Odin (and removing a Steelsplitter to compensate), or even making Odin fragile (ew!) but ultimately decided that simply lowering Odin’s HP to 3 worked best in practice. At 3HP, Odin retains all of its attacking strength in situations where you want to click it, but its role as an absorber is greatly diminished. The new 3HP Odin feels more like the “status quo” 4HP Odin does when other, stronger walls are present (Infusion Grid, Energy Matrix, etc.). You’ll block with it far less often, but it will still sometimes be correct to do so (especially in situations where you can deny absorb). And yes, this does mean Odin will be targetable by Apollo. But we don’t see this as a bad thing (the new Odin is still good value in Apollo sets, and Apollo + Odin games should be shorter on average after the change). This change is a strict nerf to Odin, and a sizable one in some sets. We definitely expect to see Odin a bit less often after the change (but that’s okay, Odin had one of the highest buyrates among all 1-supply units in Prismata). 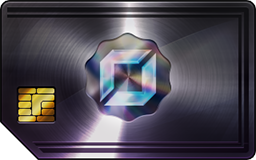 If it turns out that Odin becomes too infrequently bought after the nerf, we’ll consider decreasing its cost in a subsequent patch. We’ll have our eyes on the stats, so please send us your feedback! Militia – Cost changed from 6B to 3B + Sacrifice a Drone. This is a change aimed at increasing the power of Militia in the late game and creating more interesting decisions in the early game. Top Prismata player Msven championed this adjustment as a way of making the unit more dynamic and less boring, and we really loved it in playtesting. So we’re trying it out. Decisions between Militia and Steelsplitter in the opening will be far less straightforward. Note that this isn’t a strict buff—sometimes you’ll now be an energy short in situations where you used to be able to buy DD + Militia during the opening. But it provides a decent blue sink during the middle phases of the game, and can even facilitate a breachproof transition! We hope you’ll find some fun new things to do with the new Militia. Mobile Animus – Click ability cost reduced from 3 to 2. We always worry about making “tech-cheating” units too good, since they can sometimes be very powerful in the presence of the right supporting units. But Mobile Animus has felt rather unremarkable since its introduction, so we’re looking to see if we can find a way to make it a bit stronger. Let us know if you find anything really broken with it! Sentinel – Cost reduced from 7GR to 6GR. HP reduced from 4 to 3. Sentinel is another unit that’s commonly cited as needing a buff. The status quo 7RG Sentinel is actually very powerful in the right situations, but those situations (low inflation, high-econ defensive games) don’t happen that often, and Sentinel’s massive HP actually tends to drag out those games longer than they need to be. We feel that by pushing Sentinel to be more affordable, we can make it into a bit more of a Hellhound-like support attacker that’s viable in more sets. Lowering its HP then balances out its impact on dragging out the game. It’s a win-win change, and we really loved it in testing. Blood Phage – Cost decreased from 8RE to 6RE. Buildtime increased from 1 to 2. We honestly weren’t that sure whether we wanted to change Blood Phage. A lot of players really like the status quo. But a number of top players expressed concerns that it was very forcing in openings due to its immediate attack threat and overall value. So we tried this alternative out, adding buildtime to design around the immediate threat. We found that it led to a much richer variety of openings for both players (p2 gets a new DD/DA/T+Phage opener, and p1 can try DD/DD/DDA/Phage+Phage!) but also gave the opponent enough time to plan out their own response without having to sacrifice a mandatory early Engineer. It definitely feels different… it’s less edgy and punishing, more strategic and calculating. But we like the change. Blood Phage was caught between two identities—one, a highly efficient attacker that needs to be bought on the same turn as a Drone, and two, a key economic unit that allows you to sink excess red in the endgame and ramp up gold production as you ramp up damage. We want to push it more toward the latter, and in general, we want single R red units to be smaller and more flexible. Please let us know what you think! Redeemer – Some players suggested that this unit might favour player 2, but surprisingly, we found little to no bias toward player 2 in our statistics. It’s more-or-less a perfectly balanced unit in master-level games. We’ll check on this again in the future. 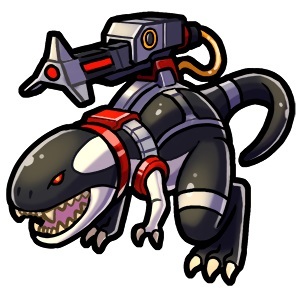 Bombarder – One of our newest units, Bombarder is certainly strong, but we’re not yet sure whether we want to commit to a 1-gold nerf. So we’re going to wait and see before making a change. Let us know if you think we ought to go through with it! Cryo Ray, Wincer, Lancetooth, Flame Animus, Lucina Spinos – These units have all been the subject of nerf requests in the past few months, but we don’t yet feel there’s a strong consensus on whether a change is needed, so we’re choosing to wait and see before committing to any nerfs. 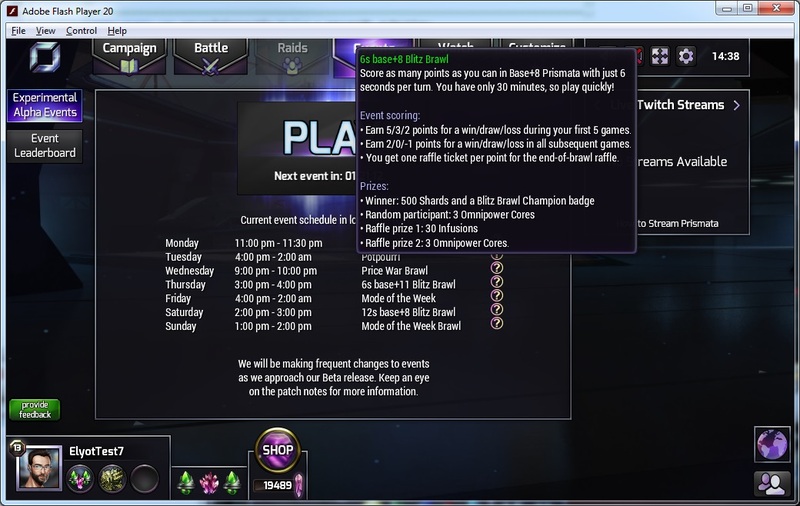 The patch will be deployed this weekend! We’re likely pushing a small client and server update around the same time, look for it in the next day or two. As usual, no change is final! If we need to make further adjustments to Odin or any of the other units listed above, we will. Please continue sending us your feedback and suggestions, they’re a huge help! Steam Early Access Launch Coming Soon! 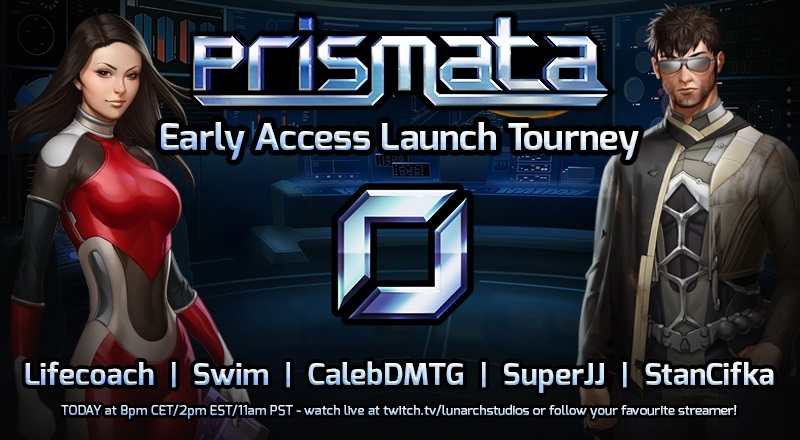 I know it’s been a while since the last blog post; we’ve been hard at working polishing off Prismata to ready the game for its launch on Steam this year. I look forward to reviving this blog with some new content relating to some of the exciting things we’ve been working on, but I’ll also be doing a lot more video content and Q&A Livestreams as we approach the launch, since they’re a lot quicker to produce than blog articles and allow more interactivity. All videos will be posted to Youtube afterwards. Feel free to dump questions in the Youtube comments and I will try to answer them in the next video. We also have a new Discord server, come join the fun: discord.gg/prismata.